This is a little bit of diversion from a gear review about hiking kit however, we all need to stay fit between our hiking adventures, don’t we? To do that I do a combination of road running, circuit training and weights. 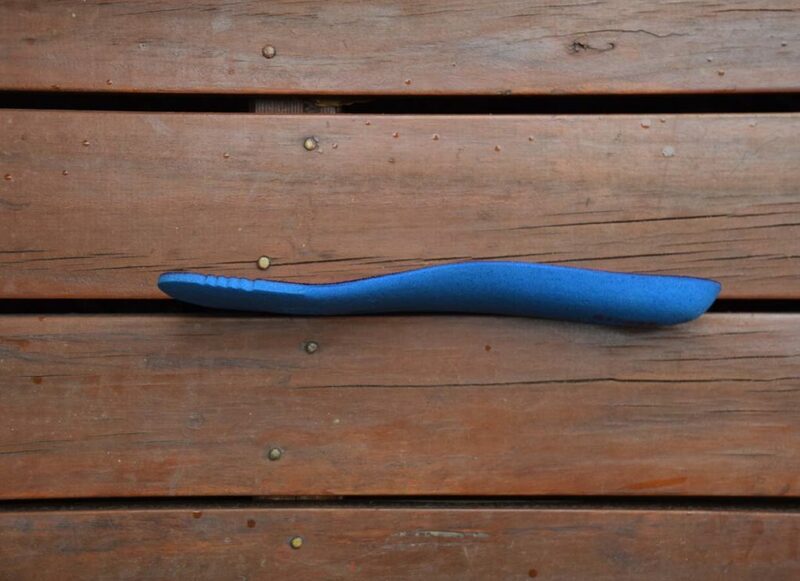 I have been wearing Innov8 FLite during my exercise routine for a number of years and I loved them. They are low profile, zero drop and super lightweight. The only problem was the absence of padding which, after several years of road running, was starting to impact heavily on my heels and knees. So much so, my heels in particular were often sore. Not good for running and definitely not a joy during longer hikes. So I went looking for another zero drop, lightweight running shoe. Since I wear Altra Lone Peak 3.0 Neoshell Low hiking shoes (which I love), I thought why not give Altra’s running shoes a go. 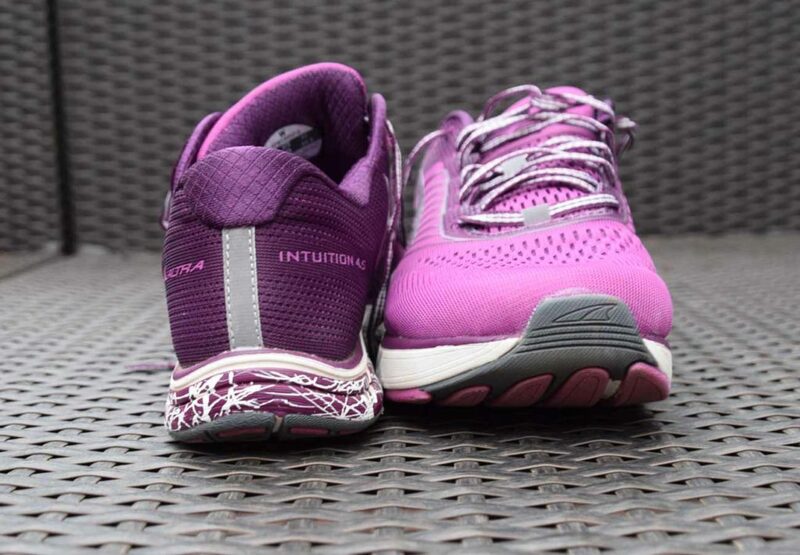 So after a bit of research (there are a lot of Altra running shoes available and a lot of information to wade through) I settled on the Intuition 4.5 running shoes primarily because of the mesh uppers and the colour – what can I say, shoes have to look good. And I love, love them! Not only did I get all the features of a zero drop running shoe, I also got the benefits of deep cushioning and a super wide toe box that is perfect for my wide foot. The zero drop ensures my heel and forefoot are the same distance from the ground which encourages a low-impact running form. 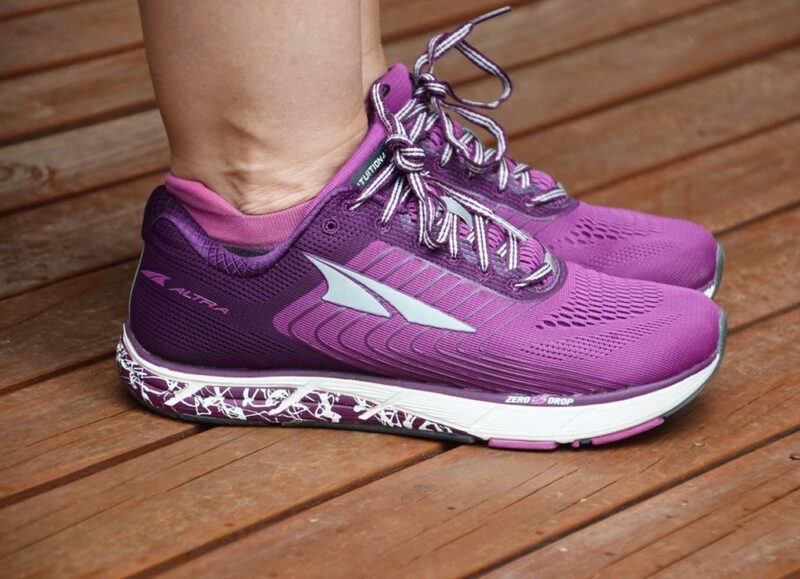 Altra’s Fit4Her™ technology means their shoes are designed for the unique anatomy of the female foot. 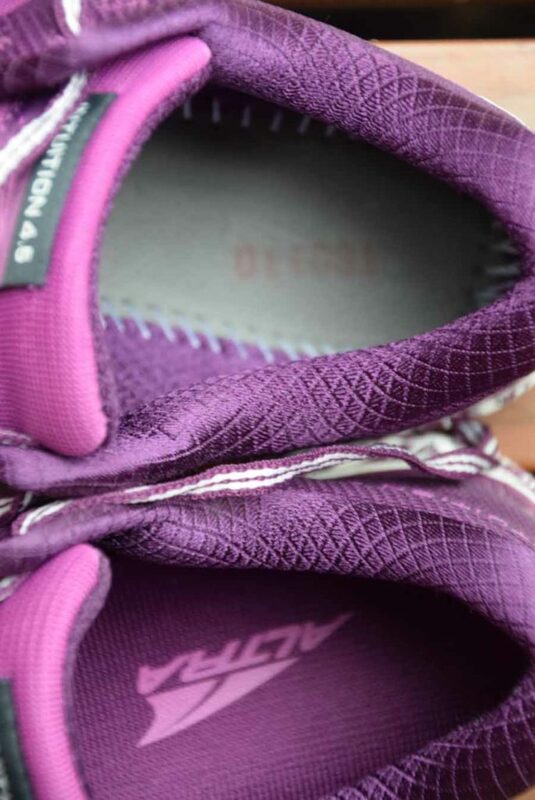 Another feature are the grid-like grooves in the midsole which allow my foot to flex while also reducing the shoe weight. 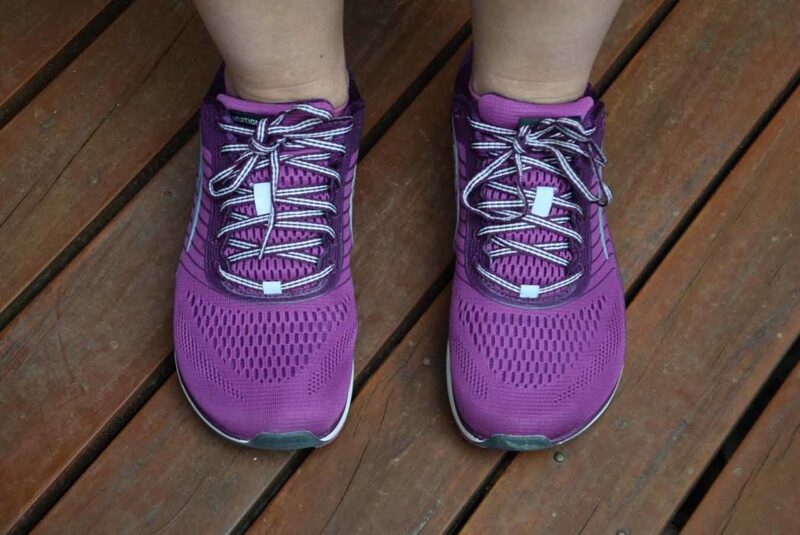 These running shoes are so comfortable, I wear them often – they have become the running shoe I continue to wear all day! In the past, my running shoes have only ever been for running because once the exercise was done, they just weren’t comfy enough. 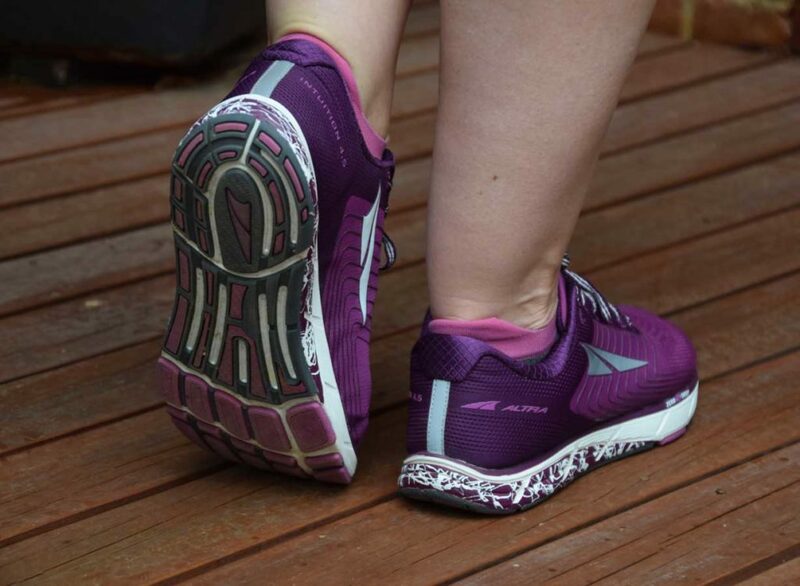 The Altra Intuition 4.5 shoes have achieved everything I needed – a great running shoe that is lightweight, roomy around the toes and provides plenty of cushioning to take the load off my heels and knees. So do yourself a favour and try out a pair for yourself!